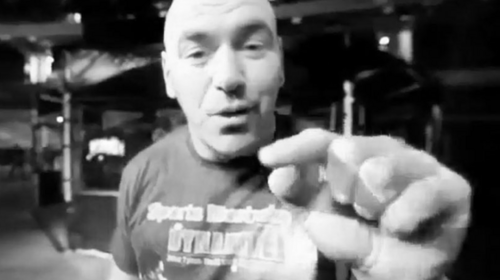 Dana White Vlogs from 2011. UFC 140 Part 2 Dana Vlog Dec 26, 2011 (9:27) Go behind the scenes at UFC 140 where Jon Jones made his second title defense. UFC 140 Part 1 Dana Vlog Dec 10, 2011 (7:19) Dana shows you behind the scenes at the UFC 140 press conference featuring Jon Jones and Lyoto Machida and gives away tickets to fans. 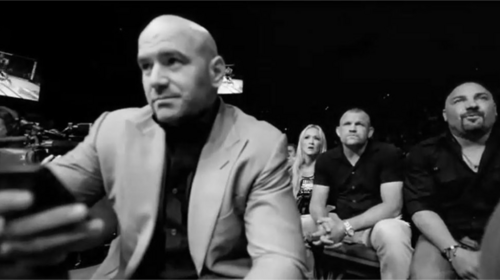 UFC 139 Dana Vlog Dec 8, 2011 (9:23) Go behind the scenes at the thrilling UFC 139 card featuring Dan Henderson and Shogun Rua as well as Wanderlei Silva and Cung Le. 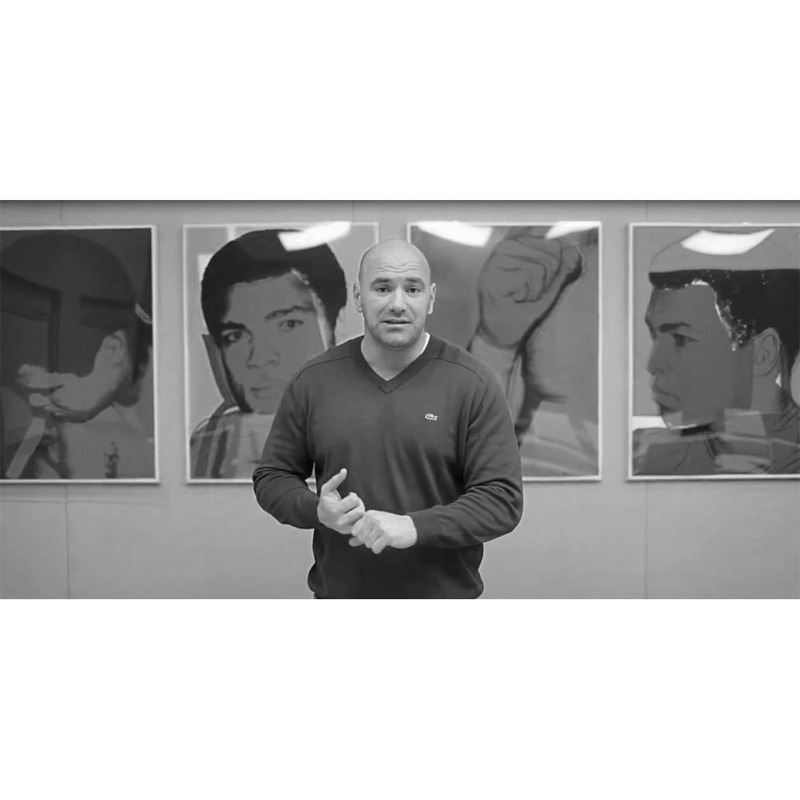 UFC Fight Night: Velasquez vs dos Santos Part 2 Dana Vlog Nov 15, 2011 (10:04) Dana preps for UFC 139 and takes you back behind the scenes at UFC on FOX featuring Cain Velasquez and Junior Dos Santos. UFC Fight Night: Velasquez vs dos Santos Part 1 Dana Vlog Nov 7, 2011 (10:30) Go behind the scenes at the last two UFC events, UFC 137 and UFC 138. 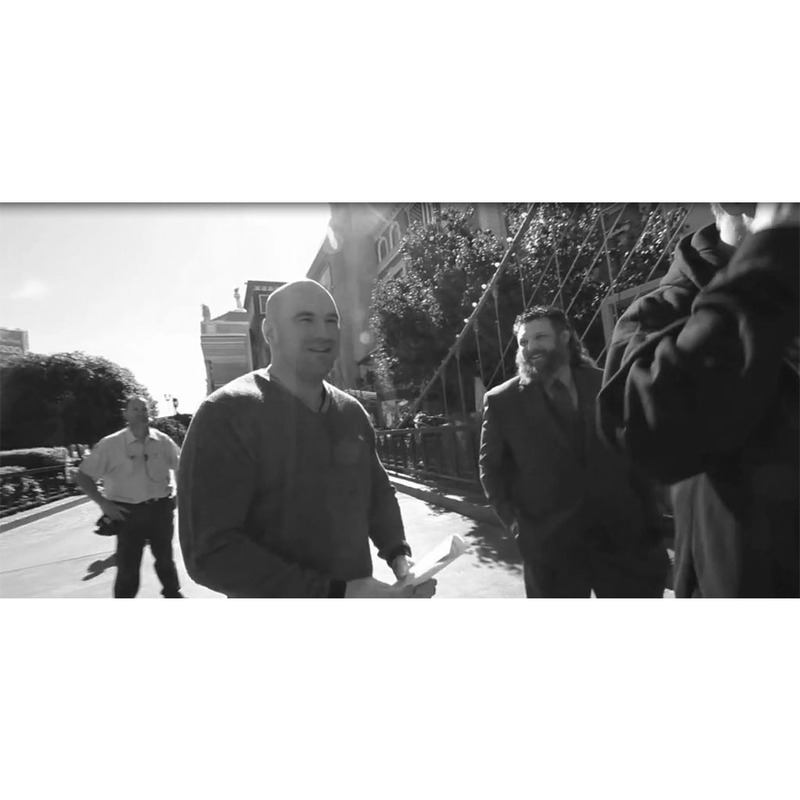 UFC 137 Part 2 Dana Vlog Oct 27, 2011 (8:44) Dana mingles with fans after the UFC 137 press conference featuring BJ Penn and Nick Diaz. 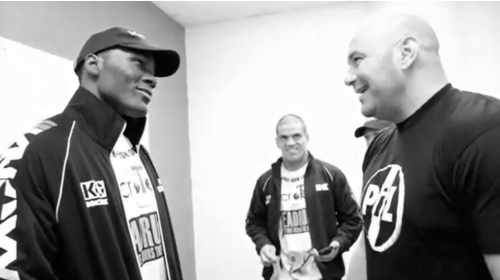 UFC 135 Part 3 Dana Vlog Oct 3, 2011 (10:59) Dana gets ready for UFC 134 and bring you behind the scenes on fight night at UFC 135 featuring Jon Jones and Rampage Jackson. 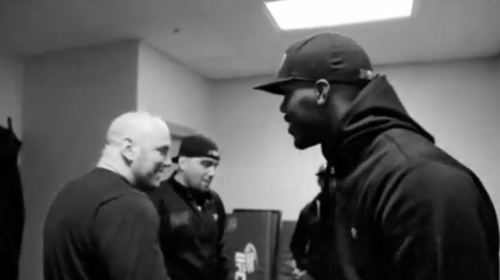 UFC 135 Part 2 Dana Vlog Sep 24, 2011 (7:17) Go behind the scenes at the UFC 135 weigh-in featuring Jon Jones and Rampage Jackson. 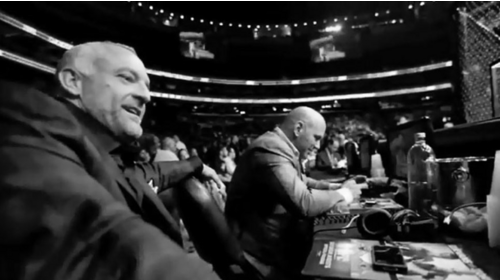 UFC 135 Part 1 Dana Vlog Sep 19, 2011 (9:23) Dana gets read for UFC 135 and brings you back behind the scenes of the two most recent UFC events. UFC 134 Part 2 Dana Vlog Aug 26, 2011 (8:51) Dana attends the UFC 134 press conference featuring Anderson Silva vs Yushin Okami. 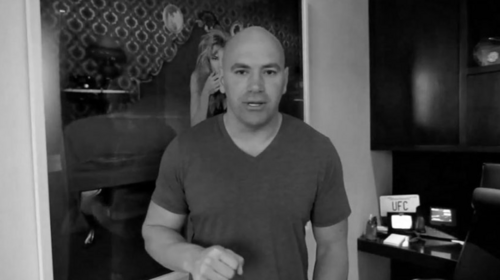 UFC 134 Part 1 Dana Vlog Aug 22, 2011 (9:49) Dana talks with MMA protesters in Milwaukee and makes the biggest announcement in UFC history. UFC Fight Night: Hardy vs Lytle Part 2 Dana Vlog Aug 13, 2011 (9:01) Dana visits the Milwaukee state fair and tries the many fried foods. UFC Fight Night: Hardy vs Lytle Part 1 Dana Vlog Aug 11, 2011 (5:33) Dana brings you back behind the scenes on fight night at UFC 133 featuring Rashad Evans and Tito Ortiz. UFC 133 Part 3 Dana Vlog Aug 6, 2011 (8:29) Go behind the scenes at the UFC 133 press conference and weigh-in featuring Rashad Evans and Tito Ortiz. 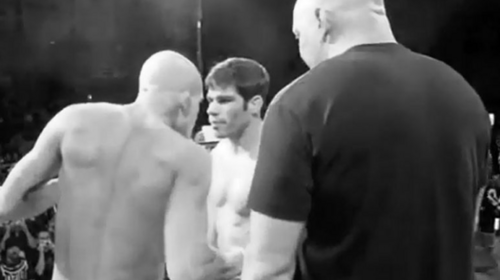 UFC 133 Part 2 Dana Vlog Aug 3, 2011 (5:22) Dana takes you back behind the scenes at UFC 132 featuring Dominick Cruz and Urijah Faber 2. 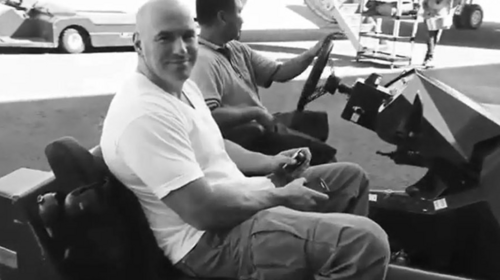 UFC 133 Part 1 Dana Vlog Aug 1, 2011 (6:14) Dana hangs out with Shaun White and recaps his summer vacation which included jumping in a mosh pit at a Rage against Machine concert. 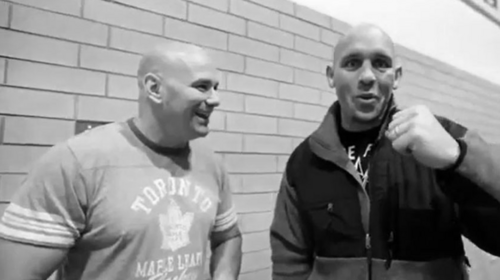 UFC 131 Part 2 Dana Vlog Jun 9, 2011 (9:10) Dana talks to fans about fights coming up and hockey before UFC 131 featuring Junior Dos Santos and Shane Carwin. 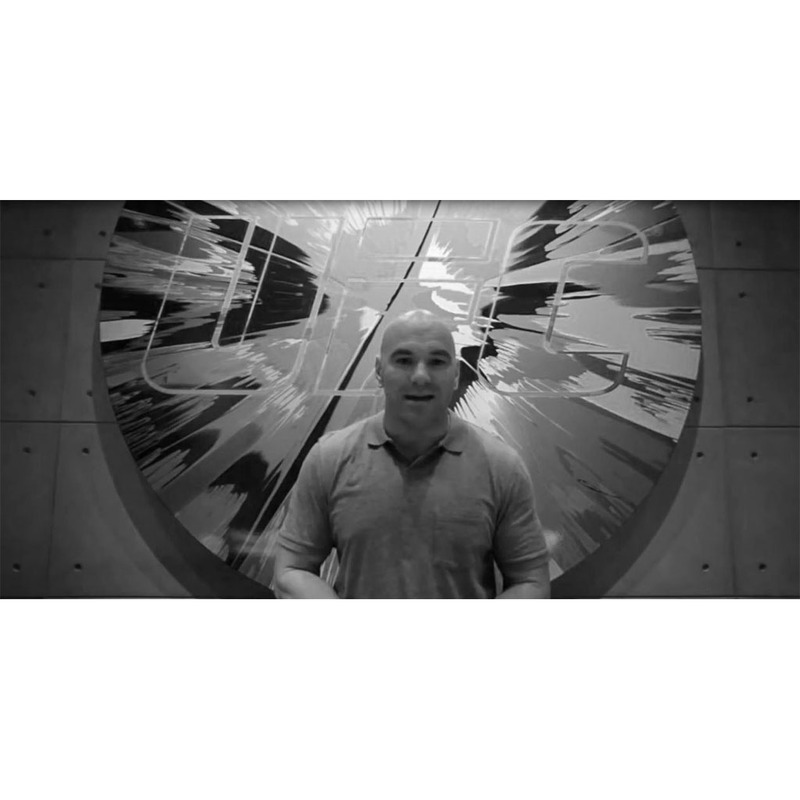 UFC 131 Part 1 Dana Vlog Jun 6, 2011 (6:42) Dana takes you behind the scenes at UFC 130, talking to Lil Jon, and Dana speaks and about XBOX at E3. 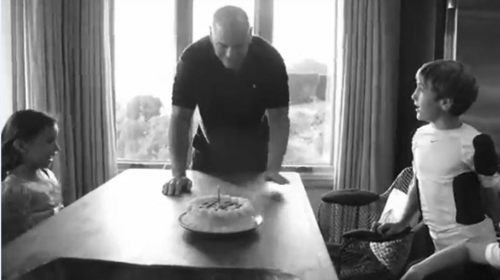 UFC 130 Part 2 Dana Vlog May 26, 2011 (10:14) Dana gives you a look behind the scenes of the UFC fighter summit and the UFC 130 press conference featuring Rampage Jackson and Matt Hamill. 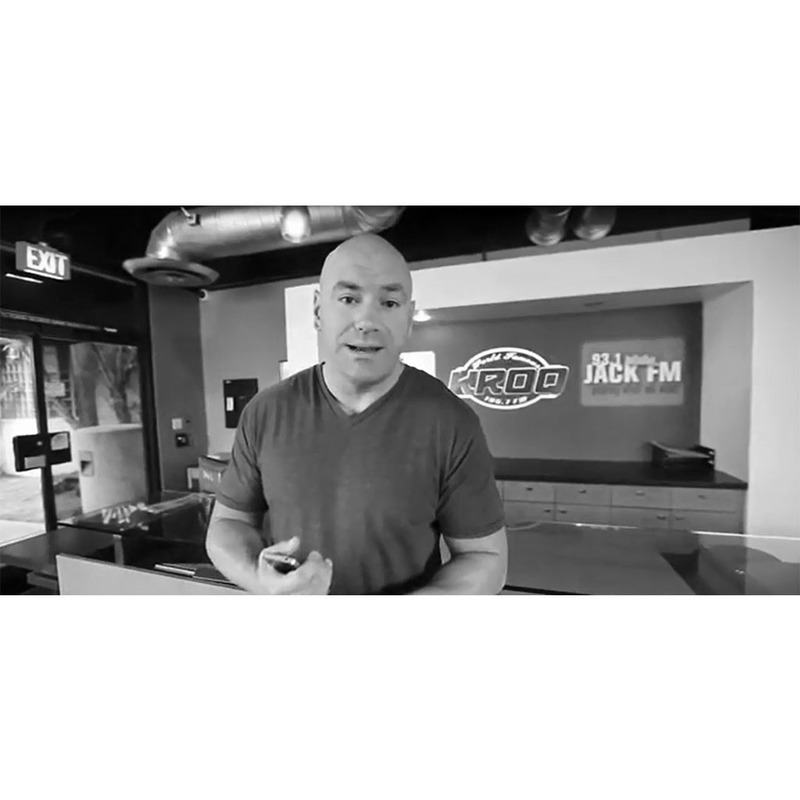 UFC 130 Part 1 Dana Vlog May 25, 2011 (7:50) Dana previews UFC 130 and gives a look back at UFC 129 featuring Georges St-Pierre and Jose Aldo. 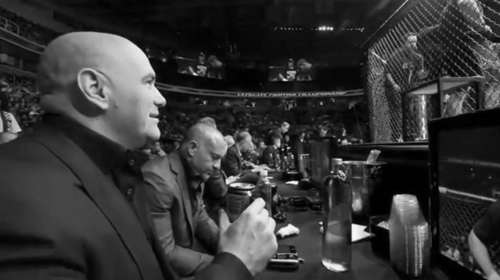 UFC 129 Part 4 Dana Vlog Apr 30, 2011 (7:13) Dana gives a tour of the Roger Center where UFC 129 featuring Georgest St-Pierre and Jake Shields is set to go down. UFC 129 Part 3 Dana Vlog Apr 29, 2011 (8:27) Go behind the scenes at the UFC 129 weigh-in featuring Georges St-Pierre and Jake Shields. 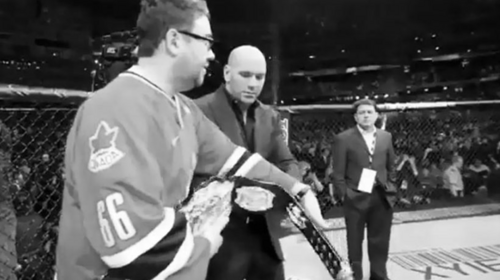 UFC 129 Part 2 Dana Vlog Apr 26, 2011 (7:12) Dana nearly gets mobbed giving away free tickets to UFC 129 featuring Georges St-Pierre and Jake Shields. 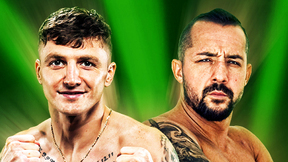 UFC 129 Part 1 Dana Vlog Apr 25, 2011 (9:54) Chuck Liddell gives fight predictions and the Dana checks out the first Strikeforce event since the purchase. UFC Fight Night: Nogueira vs Davis Dana Vlog Mar 26, 2011 (5:47) Go behind the scenes with Dana at UFC Fight Night in Seattle. UFC Fight Night: Sanchez vs Kampmann Dana Vlog Mar 23, 2011 (11:16) Dana goes to the TUF 24 tryouts before UFC Fight Night in Seattle. UFC 128 Part 4 Dana Vlog Mar 19, 2011 (5:16) In a crazy turn of events, Jon Jones stops a thief right before his UFC 128 title challenge to Shogun Rua. 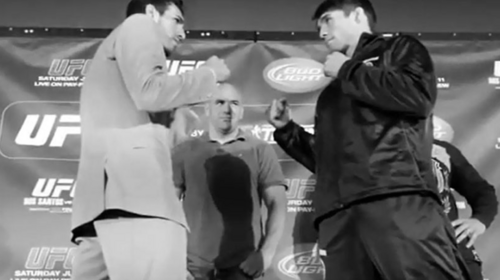 UFC 128 Part 3 Dana Vlog Mar 18, 2011 (6:21) Go behind the scenes with Dana at UFC 128 weigh-in featuring Shogun Rua and Jon Jones. 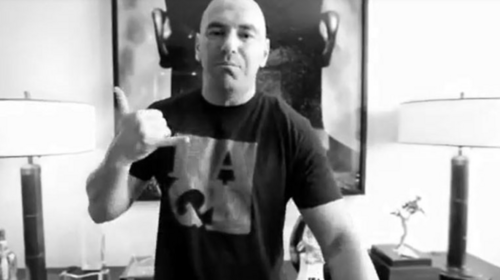 UFC 128 Part 2 Dana Vlog Mar 16, 2011 (9:17) Chuck Liddell and Georges St-Pierre gives their predictions on UFC 128 featuring Shogun Rua and Jon Jones. 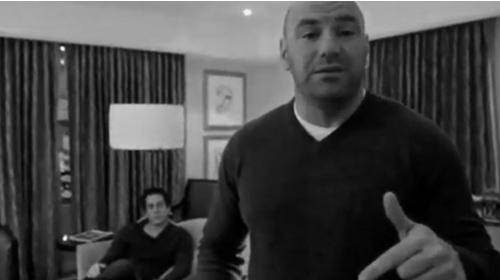 UFC 128 Part 1 Dana Vlog Mar 15, 2011 (7:07) Dana white and Lorenzo Fertitta attend Legislative meetings in Albany, New York before UFC 128 featuring Shogun Rua and Jon Jones.